How does his social environment change an individual, and why do these changes occur? Can social institutions be shaped and molded profoundly enough to afford each member of a society his maximum potential for happiness, effective functioning, and complete development? 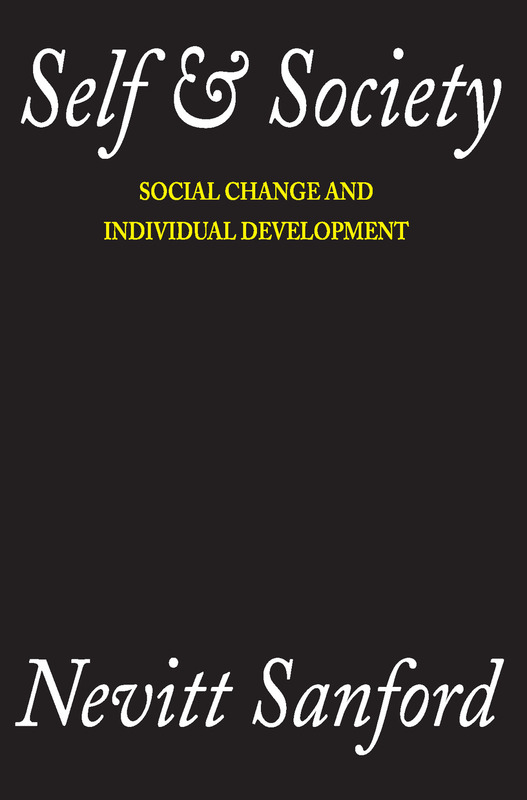 In this new work a distinguished psychologist evolves a theory of personality and society designed to help guide the work of institutions responsible for individual growth and development. Drawing on his vast experience--as an educator, a prison psychologist, a practicing psychoanalyst, and as the director of major studies in child development, personality assessment, the social psychology of higher education, and alcoholism and related problems--Professor Sanford has designed a developmental model intended to guide work in institutions which mold the individual: from family through schools, colleges, child guidance clinics, and mental hospitals. With exceptional lucidity, he examines the central issues in furthering desirable change through intervention in individual and group processes. He achieves notable advances in integrating personality theory and sociological theory: he joins psychoanalytic "ego psychologists" and other personality theorists in developing a dynamic-organismic theory broader than that of classical psychoanalysis and more in keeping with contemporary social theory. The author's clear style and firm grasp of his subject add further to the significance of Self and Society. It will be a stimulating textbook in social psychology, personality, and culture, and personality, and will make indispensable reading for behavioral scientists, psychiatrists, and educators, as well as for all professionals who work to promote mental health, education and social welfare.